This conference will give the PixInsight community a chance to meet together with Vicent Peris and Carlos Milovic, two principal members of the PixInsight Development Team, and learn directly from them the techniques and tools of the PixInsight Platform. 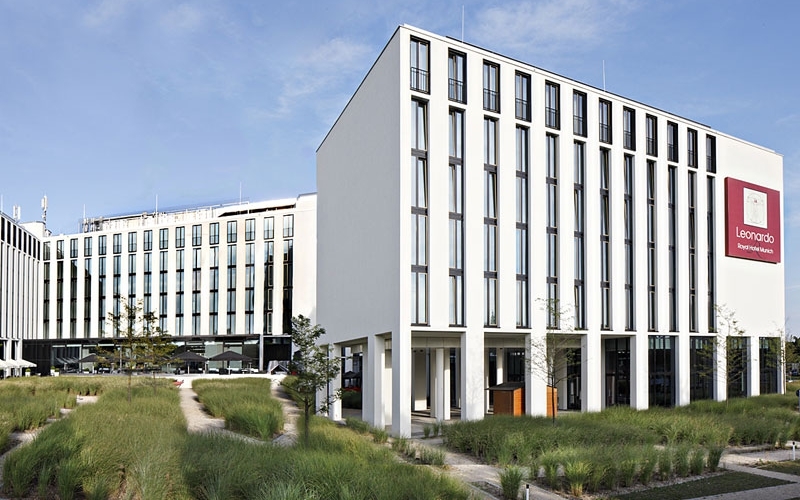 The workshop will take place at the Leonardo Royal Hotel in Munich, Germany, from Friday October 31st to Sunday November 2nd. Below you can find the address and phone number. With a total duration of 18 hours, the registration price is 290 Euros. Click the button below to register through PayPal. This workshop has been designed with a special focus on the active participation of the attendees. Each registered participant will be provided with a personal account on PixInsight's Endor file server, where he or she will be able to upload raw data that will be worked out during the workshop. In this way the participants will have the opportunity to apply and understand the concepts and techniques described in the context of their particular imaging conditions. The participants will be able to upload their data until October 15th. Participants should accept the use of their data exclusively in the workshop by the other attendees. Selection of the most appropriate data sets for the workshop is up to the teachers. This workshop has been scaled in three different levels. 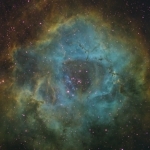 A beginners session on Friday afternoon will review the basics of the PixInsight environment and astronomical image processing. On Saturday, an image will be processed from scratch to finish using intermediate level techniques. Sunday will be reserved for more advanced techniques. Attendees should bring their own laptop computers. A valid commercial or trial PixInsight license will be necessary. Each participant will have a full set of PixInsight workflow charts describing the techniques reviewed during the weekend. Covering the main concepts in a visual style, these charts will help you to carry out your own work at home. 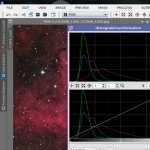 An introduction to the PixInsight Platform and its graphical user interface. We'll review the most basic image processing techniques for astrophotography. It's strongly recommended watching Vicent's videotutorials about color calibration and LRGB techniques. In this session we'll process a complete data set, starting with image inspection tools right to the finished image. You'll learn how to organize your data to optimize your working time, and we'll review tools for color adjustment, dynamic range compression, star masking, sharpening, and denoising. This example will be based on data uploaded by workshop participants. Learn how to optimize the calibration and integration processes to get the most out of your data set, including a description of the latest improvements implemented in the preprocessing tools available. And in-depth review to the philosophy of color implemented on the PixInsight platform, including observational techniques to calibrate images in absence of appropriate white references. A review of the effective methods designed by Vicent Peris to enhance line emission objects in your images, covering HaRGB and SII/H-α/OIII imaging techniques. Total workshop duration: 18 hours. Note: Lunch, dinner and accomodations are not included in the workshop rates. 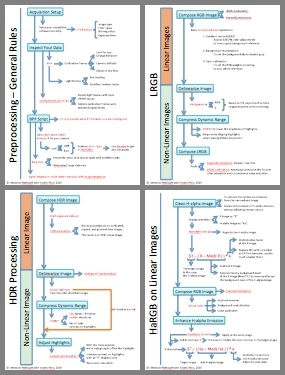 09:00 – 11:00 Image inspection tools and the BatchPreprocessing script. 11:15 – 13:00 Master image composition, color calibration and image delinearization. 14:30 – 16:00 Dynamic range compression and basic masking techniques. 16:15 – 18:00 Star masking techniques, sharpening and denoising. 09:00 – 11:00 Advanced image preprocessing techniques. 11:15 – 13:00 Color calibration. 14:30 – 16:00 Narrowband techniques: HaRGB on nonlinear images. 16:15 – 18:00 Narrowband techniques: SHO synthetic palettes. These are some examples of what Vicent taught at the Munich 2013 and Harvard/CfA 2014 workshops. 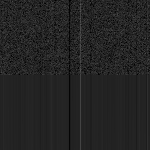 An example of dynamic range management with DSLR data of M42 by José Luis Lamadrid and Vicent Peris. These techniques are intended for compressing the dynamic range of small-scale objects. They are particularly useful to recover star profiles. This technique allows the H-α signal enhancement without affecting the color balance of continuum-emitting objects. Here you have a before/after comparison with images acquired by Leo Bette. We also reviewed techniques to enhance emission-line objects in non-linear images. 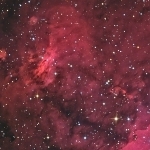 This is an HaRGB image with IC4628 data by Velimir Popov. 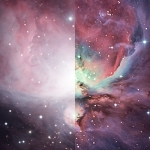 These techniques allow you to maximize the tone representation of the Hubble's palette in a few quick and easy steps. With more than a 15-year career as an astrophotographer, Vicent Peris (Valencia, Spain, 1980) has been working for the last 7 years at the Astronomical Observatory of the University of Valencia (OAUV). 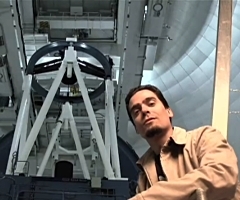 He is now leading the world-renowned astrophotographic programs at Calar Alto Observatory (CAHA) with the 3.5 meter and 1.23 meter Zeiss telescopes, the latter in collaboration with the Documentary School of Astrophotography (DSA), applying innovative image processing techniques and software tools. 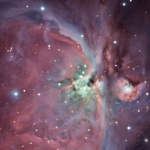 This is the first astrophotography project in the world with access to the observational time of professional telescopes. You can see some of the published images of the Calar Alto project on the Gallery section of PixInsight's website, as well as some of Vicent's articles about his image processing techniques on the Processing Examples section. His works have been published and awarded by some of the most reputed publications worldwide, such as APOD, Scientific American, National Geographic, Bad Astronomy Blog, and Sterne und Weltraum. 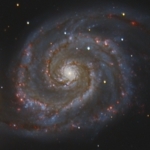 Vicent is also the official astrophotographer of the ALHAMBRA Survey, a deep cosmological survey conducted by an international scientific collaboration, acquired from Calar Alto Observatory using the 3.5 meter Zeiss telescope. 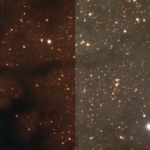 This survey is the first in the world to use a new instrumental technique known as photometric redshifts, in which low-resolution spectra for each object in an image are obtained by using a large, 23 narrow-filter set covering the 3500 – 9500 angstrom light band. You can see some image samples at Vicent's website. Vicent has also successful experience in forensics and is currently working as an image processing specialist for the Spanish National Police department since two years. For more information about Vicent's works, please download his portfolio. Carlos Milovic is a member of the core PixInsight development team. He joined the project back in 2003 as a beta tester, and later joined the software development staff writing source code for image processing modules. He has written many processing tools, like AutomaticBackgroundExtractor, AdaptiveStretch, and TGVDenoise. He was born in 1981 in Santiago, Chile, where he actually resides. From 2010 he is a research assistant in the Biomedical Imaging Center at the Pontifical University of Chile. Graduated as electrical engineer, specialized in image processing, he is now performing a Ph.D. degree at the same university, working on inverse problems with MRI. 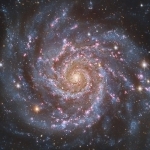 He has taken courses on several image processing fields: pattern recognition, computer vision, segmentation, image formation (including courses of astronomical detectors, electro-optics, astronomical instrumentation, adaptive optics, etc), image reconstruction and restoration, etc. He also has been a teacher's assistant for the Fundamentals of Image Processing and Advanced Image Processing courses. He published a paper in 2013 in the fluorescence microscopical image processing field, and has a paper submitted in the astronomical high dynamic range image processing field. Currently he is researching mainly inverse problems applied to astronomy and biomedical imaging, like image deconvolution, CT reconstruction, noise reduction and measurement of magnetic susceptibility of brains in MRI, which is the subject of his doctoral thesis. His teaching/outreach experience is not only limited to the academic field. He was a speaker the 2006 East Coast Astroimaging Conference, introducing PixInsight. 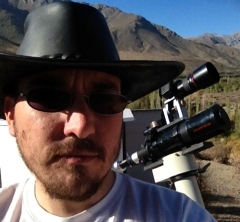 He also performed several workshops and speaks at the Southern Astrophotography Conference in Santiago Chile, in 2010, 2011 and 2013 (the latter with Vicent Peris). He conducted two PixInsight workshops in Buenos Aires, Argentina, in February 2012 and 2014.